Donald Trump Asks CNN to Give Debate Advertising Sales to Veterans! 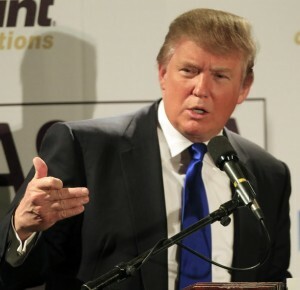 Donald Trump has asked CNN to donate he proceeds from advertising sales from next week’s Republican debate to veterans. In a letter to the network, the presidential candidate declares that the spike in viewer interest “is due 100 percent to Donald J. Trump,“ and that the debate coverage should be seen as a public service from which profits should be relinquished. The AP notes that trade publications have estimated that CNN is asking for up to $200,000 for a 30-second ad during the September 16 debate, and that typical rates run as low as $5,000.